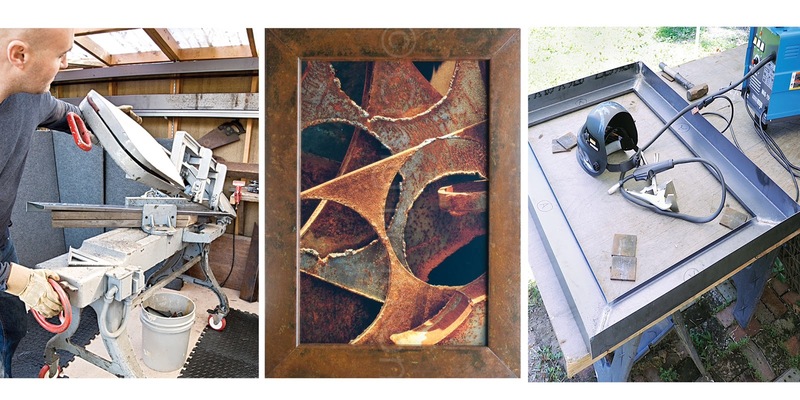 In 2007, Brabson expanded his creative vision to include fabricating custom rusted metal frames. Beginning with cold roll steel, Brabson designs, cuts, and welds the frames, and then individually rusts each frame through a two week process. We welcome the premier installment of First Friday at Fanciful Ink! On the first Friday of every month we will introduce you to an artist or musician that you must know about. 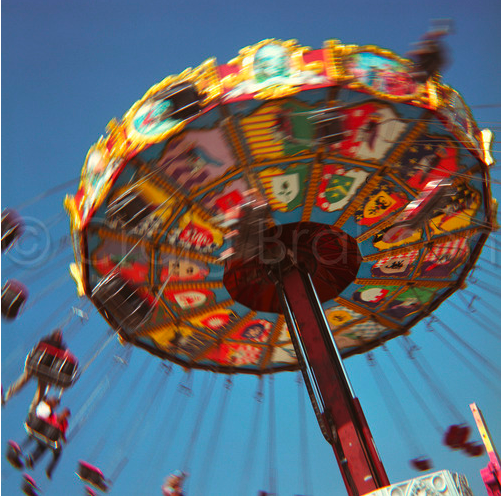 We are excited to introduce you to our first artist and photographer, Craig Brabson. Craig is a native Nashville artist. He has been creating work for galleries, gift shops and festivals throughout the United States for the last 20 years. His work adorns the walls of countless private collections (Mine being the most important! ), and his photographs are displayed in corporate offices, hotels, and medical institutions throughout the country. Don’t expect pictures of landscapes or flowers, Craig works with materials quite different than that. Brabson has challenged himself to create bodies of art entitled Americana, Transit, Architecture and Travel, and his signature work of Rust Abstracts (This is the body of work that I own some of, FYI). I picked Craig’s brain for you Fanciful people. If you can’t find enough information about his work here, check out the Nashville Arts magazine this month. I believe his two page spread is on page 76-77. You can also view more of his portfolio, find his gallery address and see his 2013 exhibition dates here. AM: Of your categories of work which is your favorite? Why? CB: That’s always been a very hard question for me. I will always have my rust abstractions and I am grateful it’s been such a successful body of work. However, when I’m on the road traveling to art festival I love to find old signs and things that scream Americana. Last summer I was photographing Nevel Roller Dome in PA. The sign had skates with wings on them! The owner came out and we struck up a conversation. This happens a lot and I have learned to go with it. He asked if I wanted to see the roller rink from the inside that has not been updated since the 70’s…. Yea! I said, and for the next few hours it was flashback city! I would have to ultimately say my creative vision and inspirations have their season. AM: What draws you to capture rusting metals? CB: I have always approached rusting metal with a contemplative mind set. Exploring an urban landscape such as a machine shop in an industrial area is like visiting a different world. 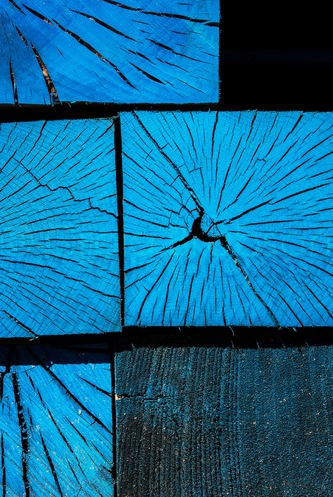 It’s very exciting for me because shapes, colors and textures are everywhere. The opportunities for amazing compositions can be infinite. So my anticipation of finding the inspiration for my next work of art is focused by slowing down and immersing myself into an environment. 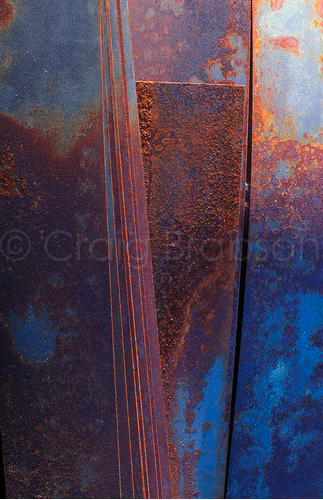 For the most part, photographing metal emphasizes the emotional connections that the colors and textures of my subjects offer. AM: How often are you shooting new work and where do you often find your subjects? CB: I shoot my work frequently. Every week or so I visit some of my favorite machine shops or explore some new areas. This week I began a commission with Charlie Foust, the owner of Clarksville Foundry. I’ll be working on this project for a month or two. AM: The community of photographers I know, film is circling back around as a desired medium again after the boom of digital cameras...do you miss using film or do you still use it sometimes? CB: I just started shooting digital a few years back. It was a strange transition because I found myself over-shooting, a lot. Of course, I was experimenting with ideas that I have not explored before and the virtual freedom of limitless shooting was very liberating on the creative front. But the newfound freedom dramatically altered my familiar way of shooting. Where once I was accustomed to counting the number of exposures on a roll of film, I now began to embrace the ability to play. Admittedly, I was sloppy at times but loved the freedom to explore and shoot at will. Nonetheless, I do miss the textural process of handling film sometimes. There is a contemplative methodology in loading the film into the camera, exposing it well, and winding it back up again. A roll of film in my hand marked the execution of a captured experience tied to the immediate anticipation of how it will look once I see the slides. Thankfully I have learned how to re-incorporate my intentional method of creativity with the new technology. AM: What has been the biggest obstacle for you to get to a point of being self-sufficient by doing your art alone? How have you gotten to this point? CB: Learning how to be a businessman has been one of the biggest challenges for me. As an artist who is dependent upon art sales for a living is not a cakewalk. But this is what I signed up for and this means I have to be a wise business person, a savvy marketer, a consummate salesman, accountant, and organizer. But also I have found believing in yourself and the gift God has given me goes a long-long way. This is one of Craig's favs, I love the color. Of the pieces I own this might be my favorite.